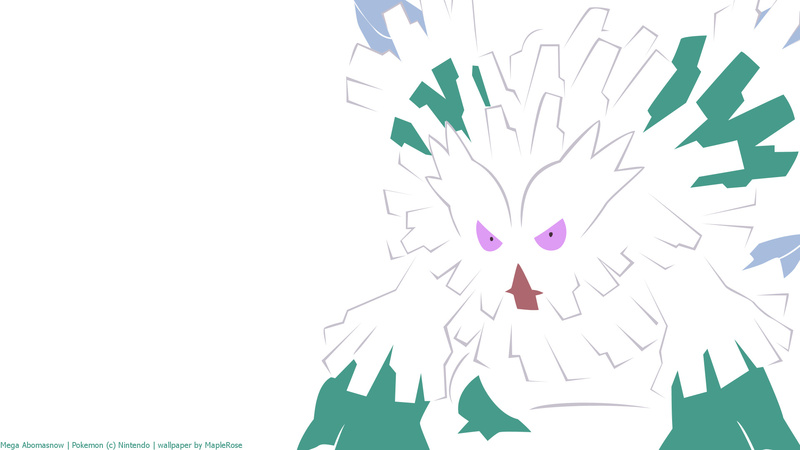 Abomasnow is the only Ice type Pokemon to get a Mega Evolution (that we know of so far). It’s kind of a strange choice to make Mega I think. I’m quite fond of Abomasnow (I had a Hail team), but with Snow Warning nerfed in Gen VI (Hail only lasts 5 turns instead of permanently until replaced), I’m not sure about how usable Mega Abomasnow is. Its speed is lowered to base 30 (probably because it’s bigger and more immobile-looking). Its Defenses are increased to 105 both, but I’m not sure how useful that is, given Abomasnow’s 7 weaknesses (including double weakness to Fire). Its Attack and Sp Attack are raised to a respectable 132, but because it’s so slow, I’m not sure if it would survive well enough to use its massive attacks. Luckily, it can learn Ice Shard. It has 2 more attack than Mamoswine, but unfortunately because it needs the Mega Stone, cannot hold a Choice Band. it says file not found!! 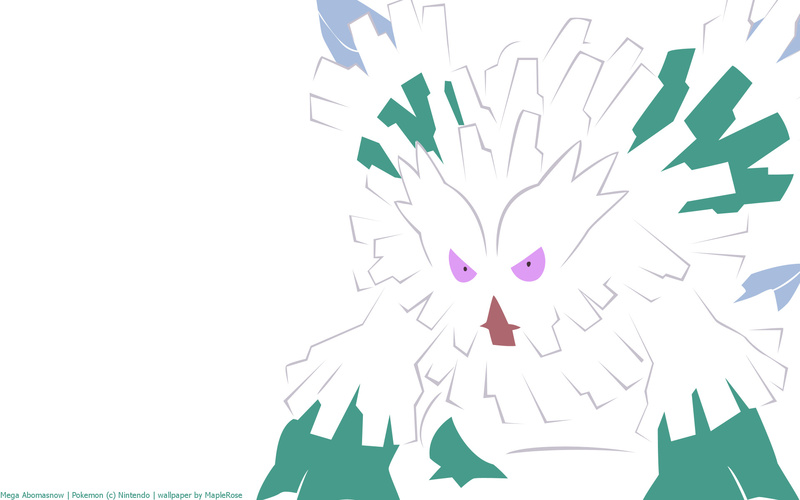 I caught an Abomasnow and Mega Evolved it. 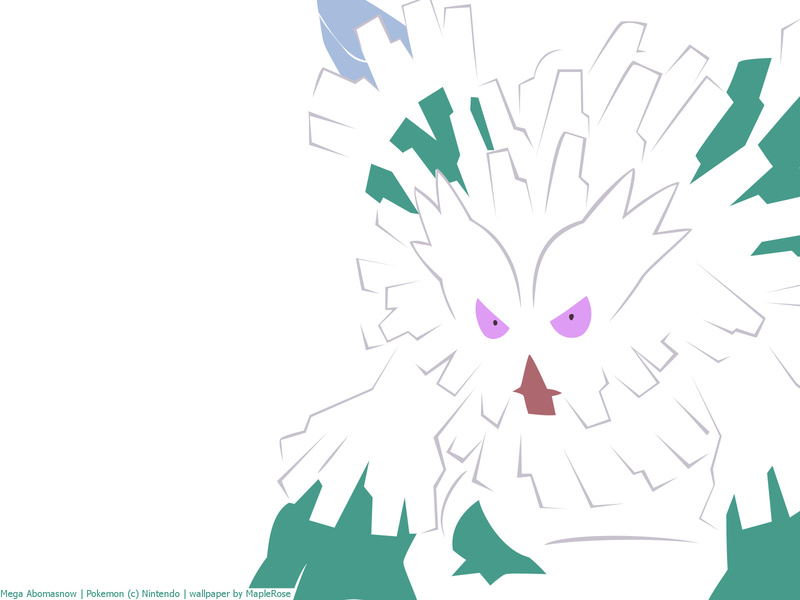 Mega Abomasnow rocks, even with the temporary use of Snow Warning! When you run out of Pokemon, can you do the gym leaders with their type color as the background? Pls do all trainers and other important people in the game with their pokemon in the background. ( gym leaders with their pokemon n ash with pikachu)….